Camila is our Office Manager at SERVPRO of Dover / Stillwater and can always be reached at (973) 810-2825. She joined our office in 2017 and leads by example. We have a great office staff. She is proficient in Xactimate, the industry standard for restoration estimates. Camila has earned a WRT water damage restoration certificate, is a member of Phi Theta Kappa-Beta Omicron-Omicron Chapter and now lives in Succasunna. Camila traveled the country procuring sites for Power Plant Companies and has much Human Resources experience. No wonder she enjoys traveling, learning about new cultures, new dances and enjoys writing. Freddy has been a mainstay at SERVPRO of Dover / Stillwater since 2015, though he has restoration industry experience dating back to 2003. As a Production Supervisor, he leads by example and is certified by the IICRC in fire FSRT, water WRT, OSHA, Upholstery Cleaning, and ECTP. Freddy lives in Ledgewood, NJ and has been involved in many home projects. He is connected with Mercedes Benz New Jersey United Club, and in his free time, he loves to work on bikes and cars. But at work, Freddy is all business. 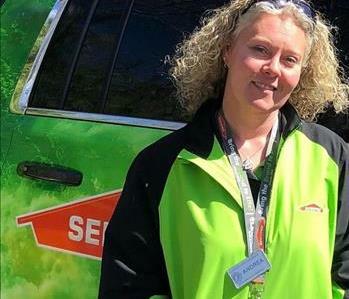 Andrea is our SMR Sales and Marketing Rep at SERVPRO of Dover / Stillwater. She has been a team member since 2014 and is certified in Fire and Water damage restoration. She lives in beautiful Hopatcong. Andrea networks with the BNI Market Makers at Pavinci's, Make a Wish Program and many town events. She is a VP on the Roxbury Chamber of Commerce and is connected with the Morris County Fire Academy. Andrea works hard to expand our footprint and help our neighbors. Andrea loves the outdoors on weekends: going to the beach, grilling with family and friends, and meeting new people and making new connections. Carl is a Production Supervisor at SERVPRO of Dover / Stillwater since 2018. He is IICRC certified as a WRT water restoration technician and comes from the building trades. 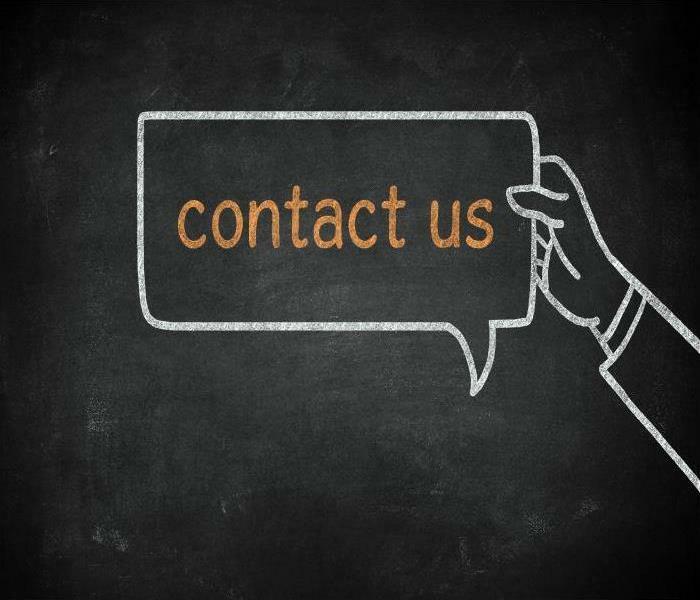 Carl has years of experience in house painting, construction, and pest control services. He lives in Budd Lake with his wife and three kids, and he is involved in children's' sports-mainly baseball and soccer. Tito is a Production Technician at SERVPRO of Dover / Stillwater since 2015, though has more years of experience in our industry. Tito is certified in water and fire damage restoration along with in-house ECTP training. He has demolition experience and is ready to work hard, all the time. Tito enjoys going to concerts, BBQ on weekends, and always ready to watch Barcelona Soccer. Paul is a Production Technician at SERVPRO of Dover / Stillwater since 2018. He is certified by the IICRC in WRT water damage restoration. He has extensive masonry experience in the building trades, especially constructing foundations. Of which, his Church and Family Functions are a large part of Paul's daily life. When not working he enjoys travel, his church, and sports. Bill is a Crew Chief at SERVPRO of Dover / Stillwater since 2018; He has worked within the SERVPRO system since 2005. He has earned and utilized many restorative skills throughout his years with us. Included among them WRT water restoration, ASD applied structural drying, AMRT applied microbial remediation (mold) and FSRT fire and smoke damage restoration. He sets the tenor and leads our crews to successful the completion of assignments. Bill was in the Military Police for 5-years with the Army and is a member of American Legion Post 0245 Lake Hopatcong. Bill lives in Budd Lake and his hobbies in Genealogy, traveling and visiting historical museums. Amilcar is a Production Technician at SERVPRO of Dover / Stillwater since 2019. He is experienced with two years in the demolition business which he can carry over, when needed, with our company. Amilcar loves to BBQ on weekends and spend time with his family. Chris is a Production Technician at SERVPRO of Dover / Stillwater since 2016. He has been in the construction trade from the late 1990s, and his experience benefits our team's performance. Chris lives in Stanhope and can be seen riding his Harley Davidson bike. David joined his and our family at SERVPRO of Dover / Stillwater in 2018. He is a Production Technician and has a great work ethic, always willing to help as witnessed by his doing community volunteer service in his hometown of Morristown. When not working, he enjoys Making Beats in the studio, working out in the gym, and learning to repair cars. Thomas is a Production Technician at SERVPRO of Dover / Stillwater and is now living in Ledgewood, NJ. Thomas came aboard our great company in 2019, and we have high expectations as he has already demonstrated a willingness to work hard and learn our industry. Thomas enjoys working with his dad on his car and spending time with his Mom and siblings.